Surrey runs a wide variety of Senior Competitions for clubs, with 7s, 10s, Touch, Walking Rugby, League Rugby and Knockout Cups all on offer. Complementing the league competitions arranged by the RFU, Surrey operates a very successful Reserve Leagues structure suitable for 2nd XVs, lower teams and for that small number of 1st XVs not yet strong enough to compete in the RFU leagues. Then there are the eight Cup Competitions for clubs at various levels of ability and the annual 7-a-side festival held in July each year. The Pre-Season 10s tournament runs every year, held the week before league rugby starts. This is available for teams in Surrey 1-4, Reserve Leagues and Vets. 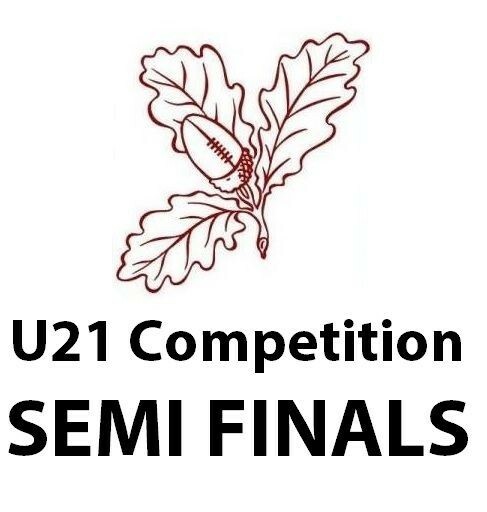 The Under 21 Competition has two tiers and takes place throughout the season. The competition is aimed at helping clubs keep University based players involved in club rugby at vital holiday times. As part of the under 21 offer we will be holding an under 21 7s tournament every session in the summer. For this season's competitions and who to contact, click here. In addition to the National and Regional League Competitions organised by the RFU, Surrey arranges and administers very successful Reserve Leagues. They provide league based competitions aimed at 2nd, 3rd and 4th XV teams. They also provide a home to the few clubs whose 1st XV is not yet strong enough to compete in the league competitions organised by the RFU. The Reserve League rules are tailored to the special need of clubs running 2nd XV and other lower teams, providing a greater degree of flexibility than RFU organised competitions. The four teams who finish top of the regular league season, will qualify for the league semi final playoffs. The winners of those playoffs will progress to the league Finals Day, where there will be 10 league finals held. Trophies will be presented to each winner and runners up. If you are interested in VETS rugby then join the VETS league. Eight Knock-Out Cup Competitions provide opportunities for clubs of varying standards. The Surrey Cup, Trophy, Shield, Bowl, Vase, Tankard and Surrey Ladies Cup competitions are operated annually for clubs from Level 3 to Level 11 – a sensible competition for every club. This is aimed at the over fifties and is a fantastic game played with the aim of increasing skill and fitness, whilst ensuring fun is had by all. Surrey will be holding an annual tournament, as well as a pitch up and play for new players who have never played before or are returning from a break. We will hold an annual festival of touch rugby and all teams within Surrey are allowed to enter the various levels that we will be offerings. From elite first team to family fun. We aim to set up summer touch leagues on a monthly basis, where clubs travel to other clubs to play a round robin based format over four evenings in May, June, July and August.